The company was founded in 2009. Our staff consists of highly qualified and experienced specialists in the sphere of information technologies, system planning and automation. Clients of our company include the government agencies of Armenia, as well as private sector companies. 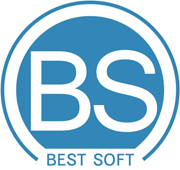 Some of the software packages developed by our company are "BestDoc" document management system, "BestHR" personnel management system, "BestClinic" medical facilities management system, as well as several other business automation and management systems. The company is also author of Armenian real estate information system, e-Notary Information System in Armenia, Armenian forests management information system and other systems.